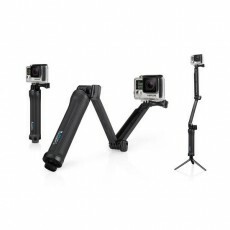 GoPro 3-Way - na zalogi Original HD HERO This ultra-versatile mount can be used three main ways: as a camera grip, extension arm, or tripod. Primerno za vse GoPro kamere. GoPro Anti-Fog Inserts Kompatibilnost: All GoPro waterproof housings and dive housings Prevent lens fog in cold and humid environments. GoPro Ball Joint Buckle Kompatibilno: HERO4, HERO3/HERO3+, HERO/HERO+, HERO2, Original HD HERO Adjust the angle of your GoPro on the fly with this convenient swiveling ball joint mount. GoPro Casey (Camera + Mounts + Accessories Case) Stores your HERO cameras, plus essential mounts and accessories. Primerno za vse GoPro kamere. 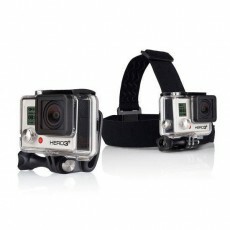 GoPro Chest Harness Original HD HERO Capture ultra-immersive footage from your chest. Primerno za vse GoPro kamere. GoPro Curved + Flat Adhesive Mounts Original HD HERO Mount your GoPro to curved and flat surfaces. Primerno za vse GoPro kamere. GoPro Dive Housing Kompatibilno z naslednjimi modeli: HERO4, HERO3+, HERO3 Ultra-durable housing for HERO3+ and HERO3 cameras. Waterproof to 197’/60m. GoPro Floaty (HERO Session) Kompatibilnost: vse HERO Session kamere. This easy-to-spot flotation keeps any HERO Session camera afloat. 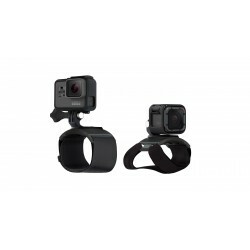 GoPro Gooseneck Original HD HERO This bendable neck delivers versatile camera-angle adjustability, making it easy to capture a wide range of perspectives. Primerno za vse GoPro kamere. GoPro Grab Bag Grab Bag of mounts and spare parts for your GoPro. Primerno za vse GoPro kamere. GoPro Handlebar/Seatpost/Pole Mount Kompatibilno: All GoPro cameras Mount your GoPro to handlebars, seatposts, ski poles and more. GoPro Head Strap + QuickClip Original HD HERO Includes a Head Strap and a QuickClip for a variety of head-mounting options. Primerno za vse GoPro kamere. 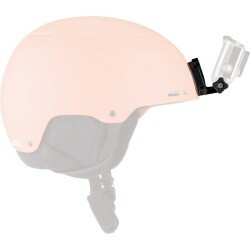 GoPro Helmet Front + Side Mount Attach your GoPro to the front or side of helmets. Primerno za vse GoPro kamere. 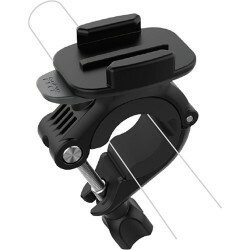 GoPro Jaws: Flex Clamp Original HD HERO Enables a GoPro camera to be clamped to objects ranging in size from 25" to 2" in diameter. Primerno za vse GoPro kamere. GoPro Large Tube Mount (Roll Bars + Pipes + More) Kompatibilnost: All GoPro cameras Attach your GoPro to roll bars, railings and more. 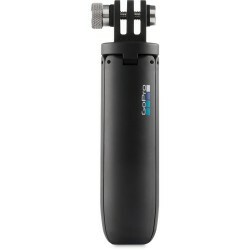 GoPro Pro Handlebar/ Seatpost/ Pole Mount Primerno za vse GoPro kamere. A compact aluminum mount, providing 360° capture options. GoPro Pro Seat Rail Mount Primerno za vse GoPro kamere. A compact aluminum mount designed to capture anything in your rearview. GoPro Quik Key (iPhone®/iPad®) Mobile microSD™ Card Reader Kompatibilnost: iPhone and iPad devices with Lightning® adapter, running iOS® 7 or later The key to unleashing and editing the GoPro footage stored on your microSD card. 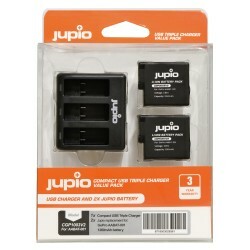 GoPro Quik Key (Micro-USB) Mobile microSD Card Reader Redna cena: 29,99 EUR Kompatibilnost: Android™ phones and tablets with a micro-USB connector The key to unleashing and editing the GoPro footage stored on your microSD card. GoPro Quik Key (USB-C) Mobile microSD Card Reader Kompatibilnost: Mobile phones and tablets with a USB-C connector. The key to unleashing and editing the GoPro footage stored on your microSD card. GoPro Remo (Waterproof Voice Activated Remote + Mic) Kompatibilnost: HERO5 Black, HERO5 Session Control your HERO5 camera from up to 33ft (10m) away. GoPro Screen Protectors (HERO5 Black) Kompatibilnost: HERO5 Black Safeguard your HERO5 Black displays with these lightweight screen protectors.